In a father’s arms a child should find safety. But what happens when that place of safety becomes a prison of secret abuse? Physical, mental and sexual abuse takes is toll on a child’s heart by smothering any hope of a safe tomorrow. These kinds of adolescent assaults can imprison the heart of a child held captive by the guilt of shame of a dark past, leaving only a sense of doom and the constant fear of the future. At the hand of their father, each and every member of the Sault family was brutally violated in different and terifying ways. For people who have spent their lifetimes doing everything they can to keep secret their own terrible tales of abuse, the prospect of moving on seems impossible. After all, hidden secrets are often lies. The good news is that once lies are exposed, they lose their power to control. This story of triumph from defeat finally brings to the masses the most essential ingredient for healing: Hope! The truth is, you’re not alone. If you’re one of the millions of people who had their innocence stolen from them, it’s never too late to find forgiveness and strength to get better. 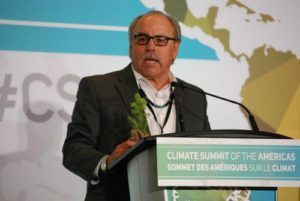 Larry Sault brings over 25 years of dynamic leadership of working with First Nations in Canada, Native American Tribes in the United States, Arctic Inuit, Maori of New Zealand and Aborigine of Australia. He has held key positions in political leadership, private sector corporations and non-profit organizations.